This weeks Hell yeah moment occurs during the climax of the “Death of the Family” Storyline. In fact there are actually 2 moments from this book that made me grin like the Joker.Spoilers ahoy. You’ve been warned. So here we go. 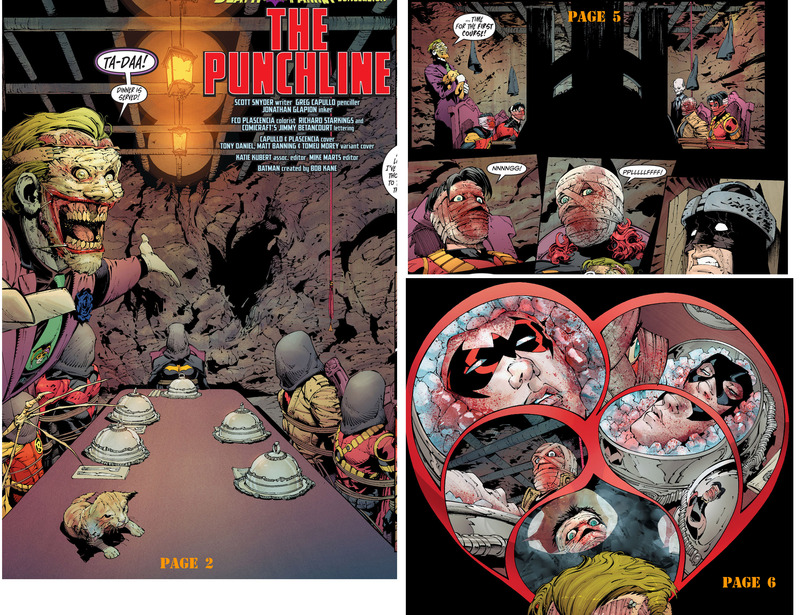 When last we saw the Joker in the Batman comics he had cut off his face and left it behind. I believe the intention was for him to go and find out who he really was,inside you know? Here the Joker proves himself to be a true lunatic and after having captured the Bat Family decides that they deserve the same opportunity to find themselves.Knowing they are unlikely to cut their own faces off he does it for them. True Joker Style! And then serves it to them on ice for dinner. While this page doesn’t have any impalements or Explosions what it does have is a father showing true emotion to his son. Batman is always represented as a man with an Iron Will and Back bone to match. It’s nice to see some genuine panic in him when he’s afraid for his son’s welfare. The best thing about Batman is that he is Human, not an Alien granted super human abilities due to our yellow sun or an Amazon demigod trying to find her way in the world. 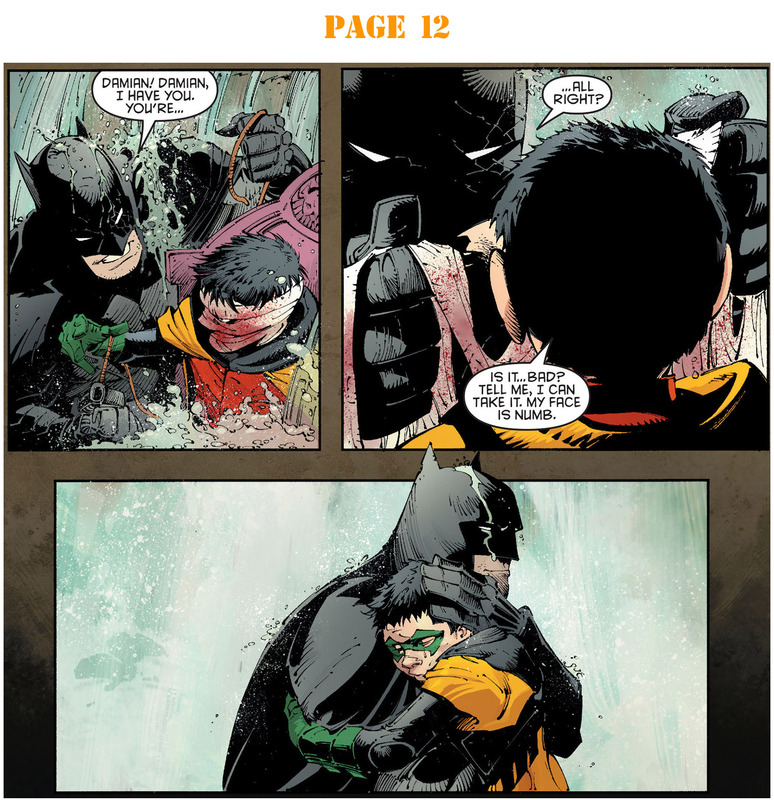 As Good as Bruce Wayne is, as a Detective, Fighter, or Scientist he is still a man, which make an occasional show of emotion like this very rewarding for us, the reader. And oh yeah and on a side note …. it was a gag, the Joker didn’t actually cut anyone face off. Sadly no one laughed.